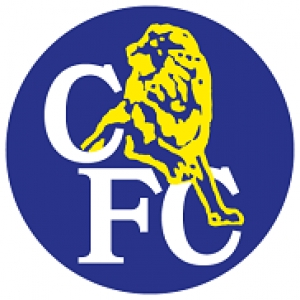 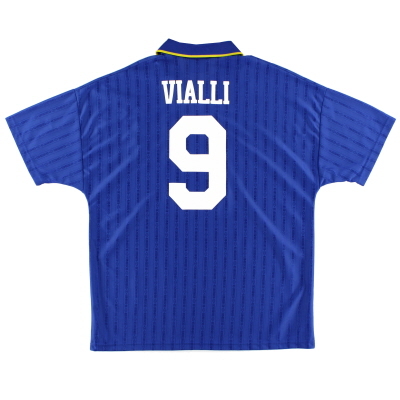 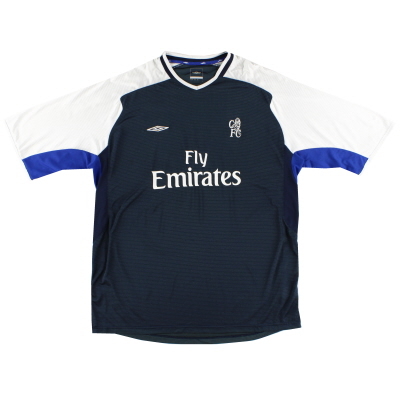 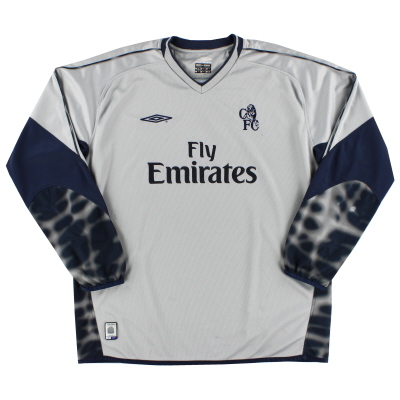 Chelsea are one of the few clubs in English football that still wear their original colours, although when the club was formed in 1905 it was a slightly lighter shade of blue that was sported. 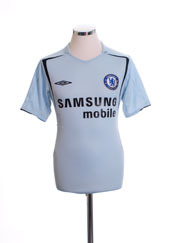 The reason behind the famous blue strip is straightforward; when Chelsea’s founder Gus Mears formed the club he simply chose Lord Chelsea’s racing colour of blue as the most logical visual identity for his team. 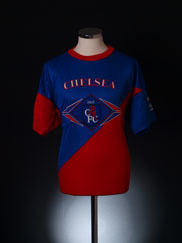 Although the tradition of blue shirts had been long established, it wasn’t until the 1964-65 season that the club began to complement the jerseys with blue shorts and white shorts to form the Chelsea strip we recognise today. 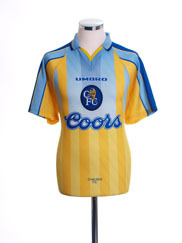 This unique colour combination was the brainchild of then manager Tommy Docherty who believed, quite rightly, that by choosing shorts and socks in these colours he would create a distinctive and original kit. 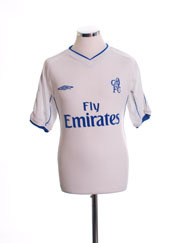 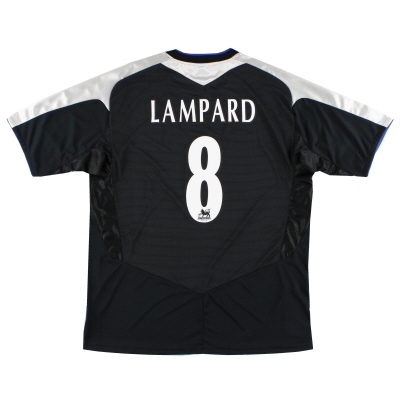 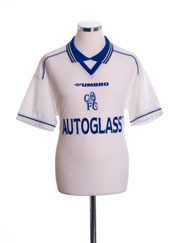 Regular Chelsea away kits tend to be white or yellow. 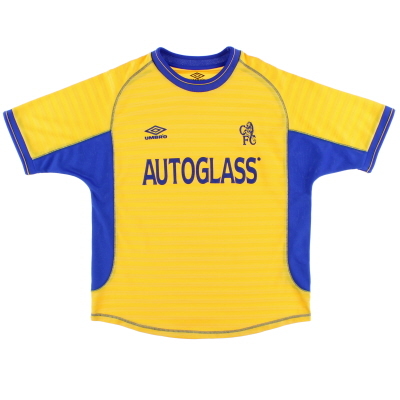 Memorable exceptions to this formula include the one-off Inter Milan-esque blue and black stripes worn in the 1965-66 FA Cup semi final and the remarkable combinations of red, white and green favoured for much of the 1970s. 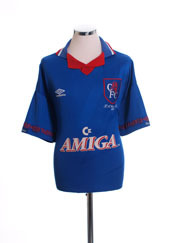 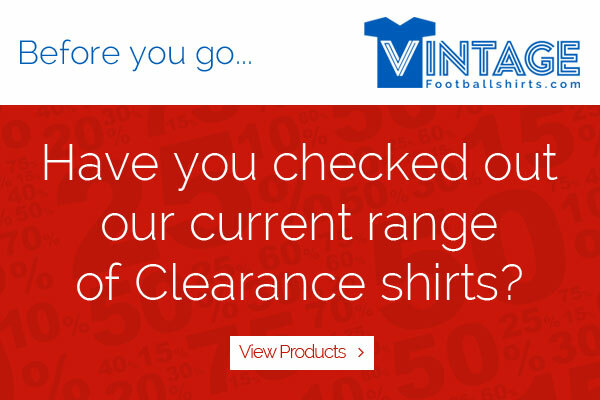 The club have had a chequered past sponsor wise. 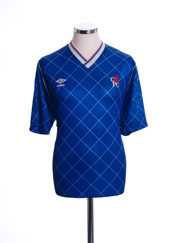 Their first shirt partner was Gulf Air in the 1983-84 season but in 1986-87, unable to secure a permanent sponsor, their football shirts featured the logos of three different companies at different times throughout the campaign. 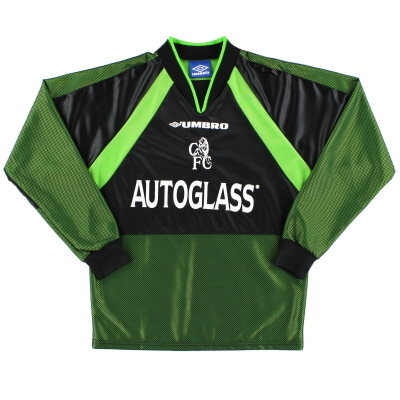 It was an innovative concept that has recently been adopted by other clubs in these cash-strapped times. 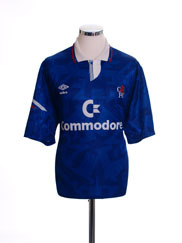 Their first longer term sponsors, computing company Commodore, arrived a season later.